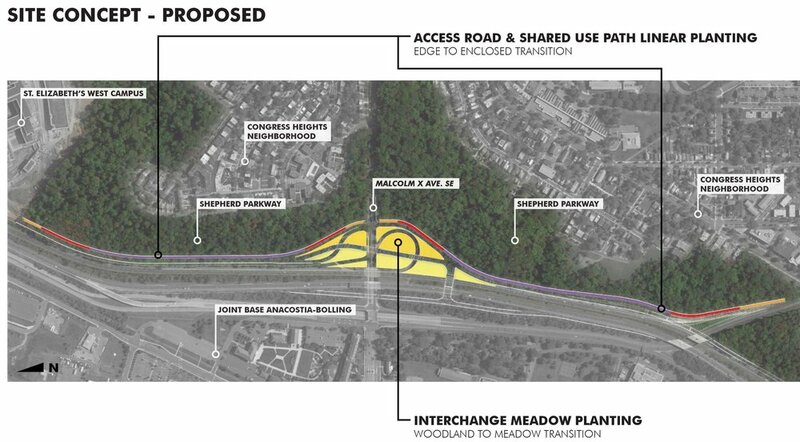 Located on the edge of the historic St. Elizabeth’s West Campus, the I-295 Malcolm X Interchange and Department of Homeland Security Access Road project is a 1.5 mile long infrastructure project. 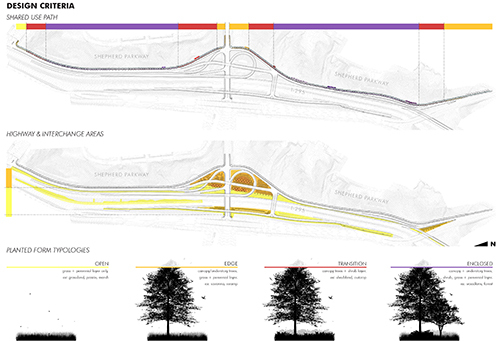 The access road and associated interchange provides vehicular access for the large federal workforce on campus and significantly improves bicycle and pedestrian access in an underserved part of the city. 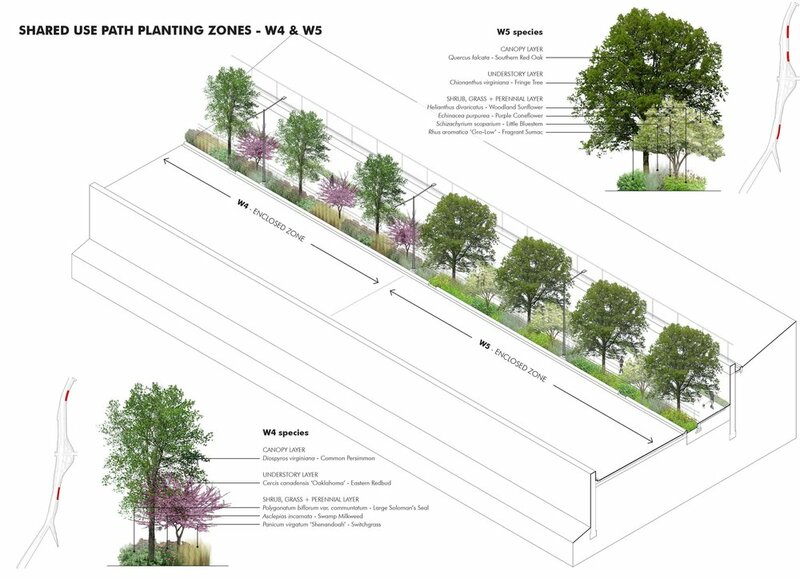 The existing site affected by this project, a tract of National Park land known as Shepherd Parkway, is a deciduous woodland predominantly consisting of native trees and shrubs. 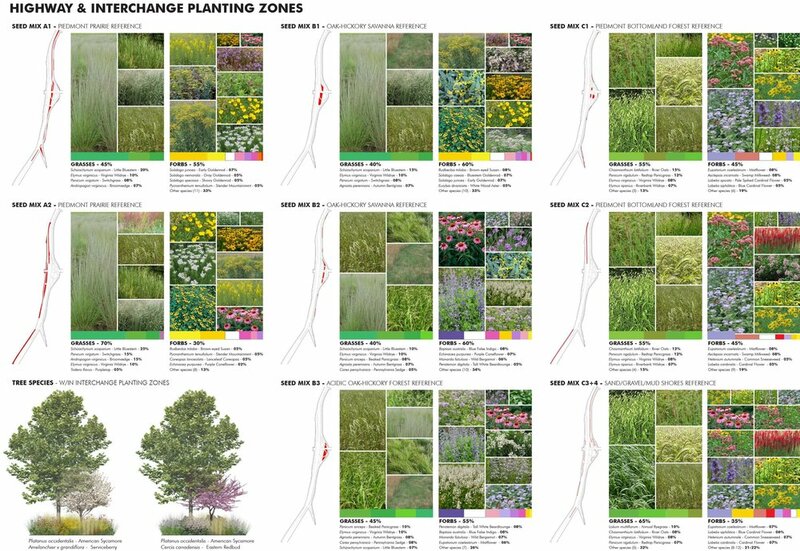 Accordingly, the landscape design returns as much green cover as possible in the area of construction, continues the diversity of native planting in the adjacent portions of Shepherd Parkway, and enhances the experience for users of access road and the related shared use path. 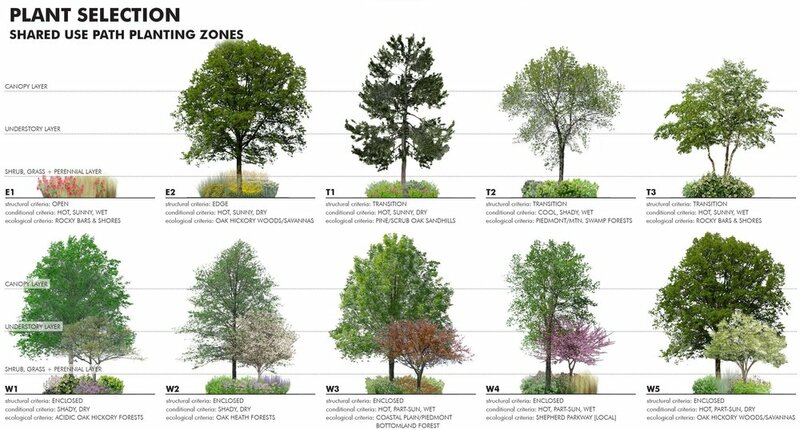 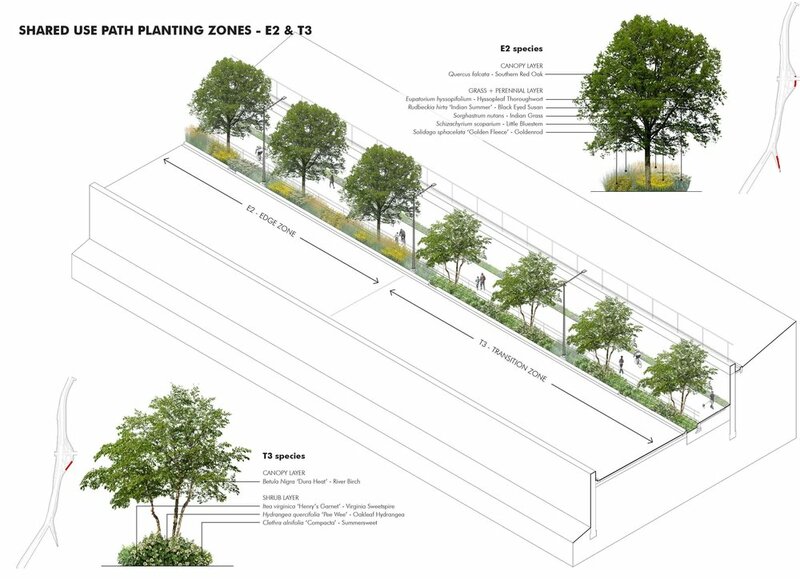 Planted areas articulates a transition from the typical streetscapes at the edges of the project to more intensified woodland planting where users come into more direct contact with Shepherd parkway. 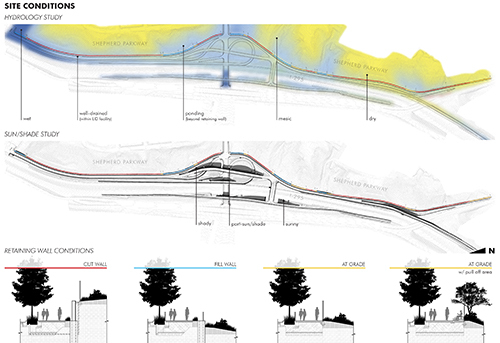 Stormwater management was a significant driver of the design and included a series of linear LID tree planters that span the length of the project as well as several large retention basins in the interchange area. 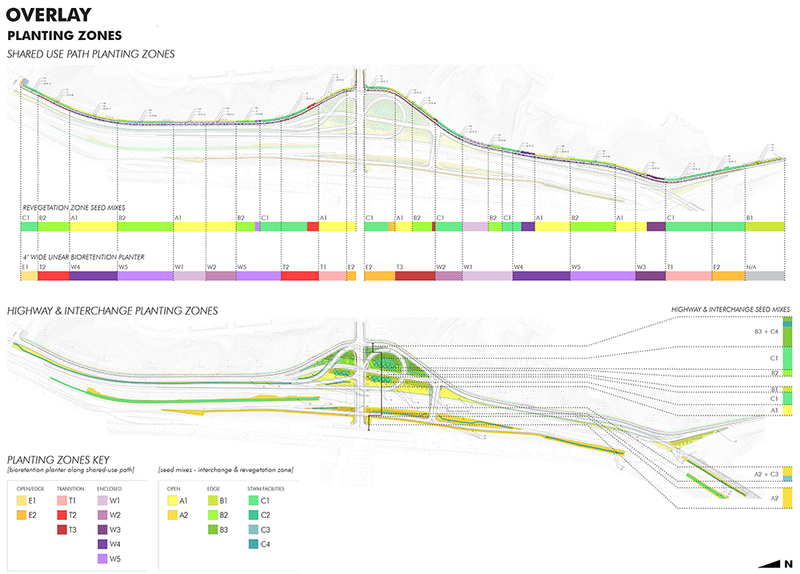 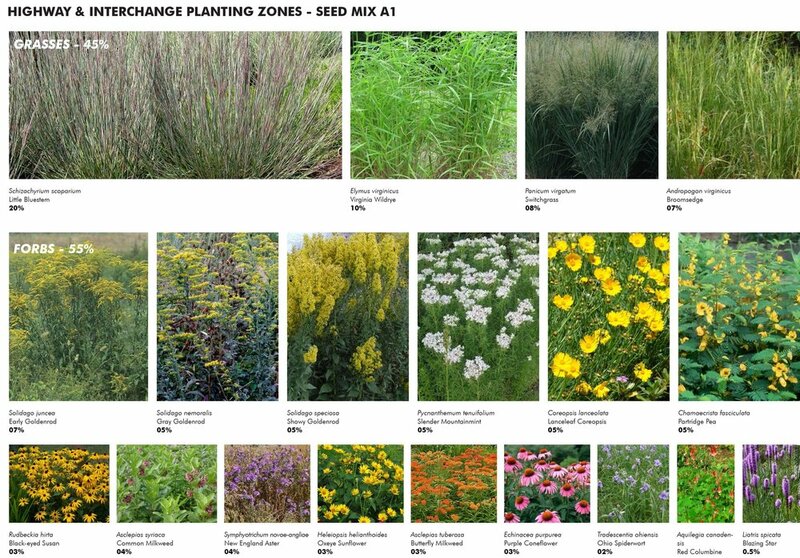 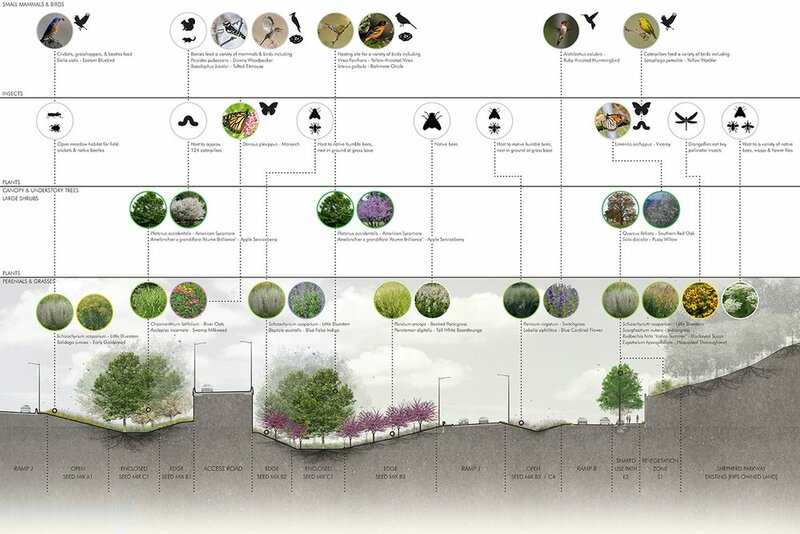 As part of the design process, LAB worked with the Xerces Society, a non-profit organization dedicated to protecting insects and their habitats, in order to enhance the project’s ecological performance with a particular focus on improving insect pollinator habitat. 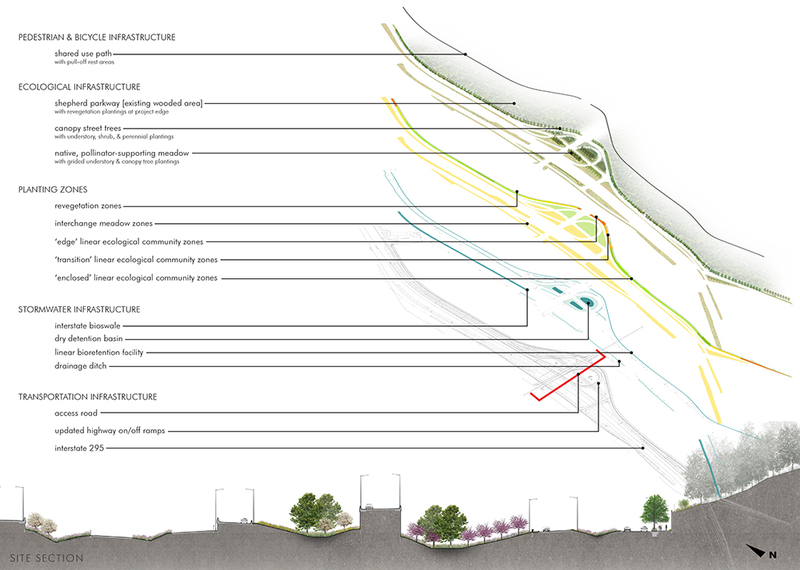 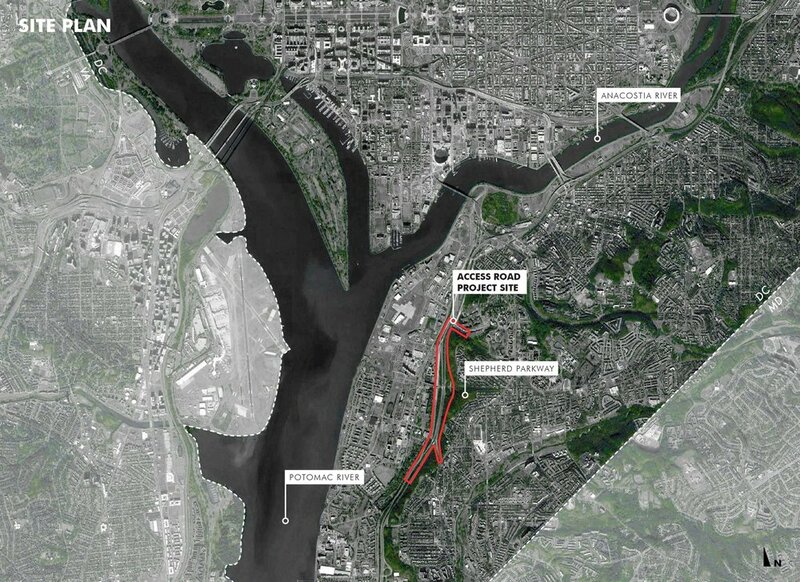 The research associated with this project remains in development and has been made publically available in an effort to help landscape architects and allied professionals contribute to this important effort.